Reviewing the 2016 Gartner Magic Quadrant for Business Intelligence and Analytics Platforms. What's in a name you may say? Well quite a lot if you follow the business intelligenceand analytics market. Why? Well today Gartner released its latest Magic Quadrant covering these solutions and this year there were some pretty notable changes. 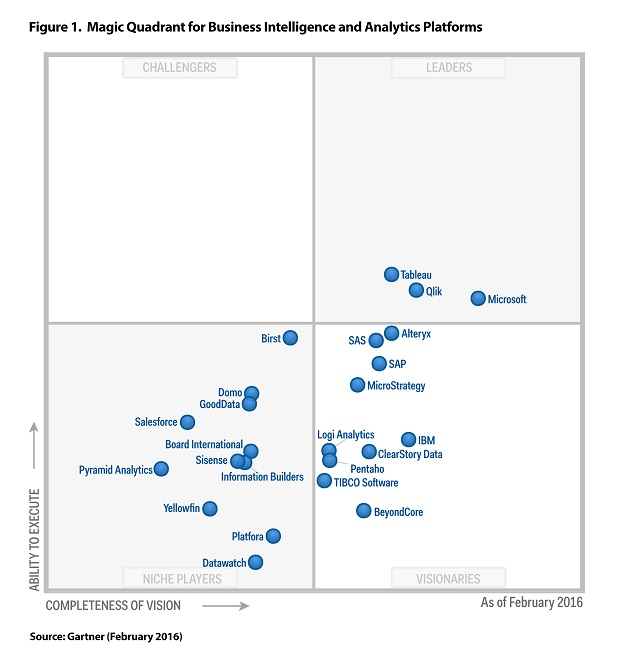 From my own point of view this Magic Quadrant’s name carries more meaning to our customers and the 2016 Gartner Magic Quadrant for Business Intelligence and Analytics Platforms makes for some interesting reading. To start, this new Magic Quadrant much better reflects what frankly I have been saying for some time, that this is not your father’s BI anymore. The shift in centricity we see from centralized IT, out to the edges of the organization, where more data comes from outside the data warehouse and from the cloud. 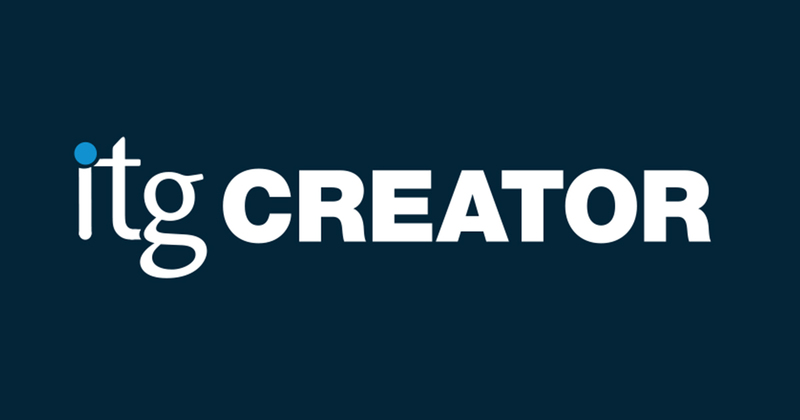 We move from BI that was reporting-centric with some analysis, to analysis-centric with some reporting, and we see a new generation of BI kingmakers emerging – developers, analysts and information workers, have had a dramatic impact. Add to this the need to address broader use cases in a more agile fashion; the need for so-called smart analytics coupled with the need to preserve governance in a way that empowers rather than constrains users and the result is the emergence of the modern BI platform. To cut to the point, I think Gartner have done a pretty good job of capturing this shift in this new report, defining the resulting requirements and assessing the vision and execution of the key players in the market today. We licensed a complimentary copy of the report which you can access here. “In a rapidly evolving market, with innovation being introduced constantly, a Leader must also demonstrate that it is not only focused on current execution but also has a robust roadmap that will solidify its position as a future market leader, thus protecting the investment of today's buyers.” - Source: Gartner, Magic Quadrant for Business Intelligence and Analytics Platforms, Josh Parenteau et al, February 4, 2016. A huge amount of work goes into these types of analyst reports, both from the analysts, the vendors and the customers who complete the surveys and I want to recognize these efforts from all concerned. I’ve personally been involved in working with Gartner on Magic Quadrant reports in one form or another for well over 15 years. So please indulge me a little when I say yes, look at the picture, I do, and I like it, but also read the copy because there is a lot of insight there that is easily missed. And while it’s natural to compare over time, remember this year’s Magic Quadrant reflects a shifting market, and that is really the message of this report. The changes Qlik and Gartner have been talking about for several years have reached a tipping point and this market has changed forever. I happen to believe that change is for the better. That is after all why I decided to leave SAP and join Qlik in late 2014. This is an exciting market and I’m thrilled to see Qlik recognized in this way as it validates my own personal choice and my deeply held belief that there are endless possibilities for the ways in which we can use data and empower people across our organizations. The modern BI platform is here to stay and I think I speak for the entire Qlik team when I say we cannot wait to see what this makes possible.